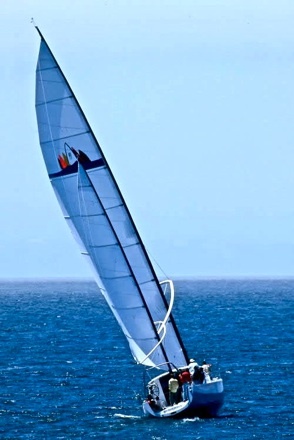 Our mission is to meet the challenges of climate change and ocean acidification, with innovative designs using low resistance hulls powered by clean technology. 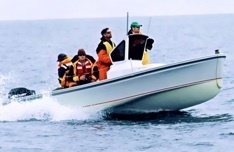 Aboard these vessels, our focus is to create a quiet revolution in ocean education, research, recreation, conservation, and commercial transportation. Learn about the pioneering efforts of WYLIE DESIGN GROUP and see Tom discuss some of these innovative solutions aboard the revolutionary 65’ Baylis. Stacy, the WYLIE DESIGN GROUP skiff, cruises at the same speed as a Boston Whaler on 1/3 the fuel and 1/3 the horse power. Each year Stacy works with Barbra Block and Stanford’s Hopkins Marine Station tagging great white sharks in the Pacific. WYLIE DESIGN GROUP is designing “Mini Baylis” to extend education and research programs to the 15 marine sanctuaries and ports of the world. They are intended to be shared by private and nonprofit communities associated with marine sanctuaries. These ships are designed for solo research when not working together as a fleet. 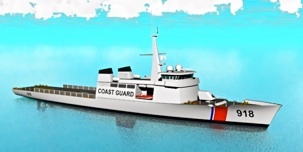 WYLIE DESIGN GROUP is designing the Patrol Cutter to be as efficient as possible. This remarkable design uses 1/10th the fuel and costs taxpayers half as much. To learn more, check out the drawing board component of our portfolio. 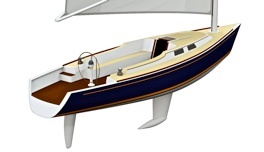 WYLIE DESIGN GROUP is designing the Rachel Carson for Oregon State University. This design uses solar panels to further reduce emissions. She is named after the renowned American Biologist, Rachel Carson, whose work helped lead to the nationwide ban on DDT. 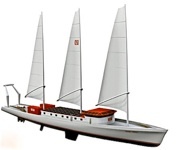 Modern sailboat technology holds the promise of utilizing wind power to provide a sustainable alternative to ocean travel and research. A pioneering example, the Derek M. Baylis, is an innovative 65’ research vessel that is changing the way scientists and environmentalists access, experience, and ultimately understand our world’s oceans.